While more than half of a first impression is based upon body language and physical appearance, 33% of a first impression is based upon vocabulary and vocal quality. Your mood dictates your tone of voice and body language, making it imperative to mentally prepare before important speeches, conferences, meetings, and interviews. Getting into the right headspace could be accomplished through anything ranging from taking a quick nap, eating a healthy meal, practicing some yoga, or giving yourself a pep-talk in the mirror prior. However, it’s also a great idea to take a step outside of your own head and open up to external positive influences. The average job listing attracts about 250 CV’s, how will you stand out from the other 249 applicants? 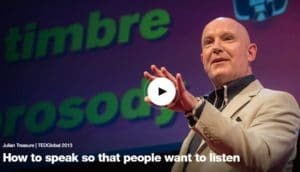 These 10 Ted Talks will leave you informed, invigorated, inspired, and excited to deliver on your next interview or meeting. Jason Shen uses his own experience as well as statistical data to depict how even your education does not necessarily determine your career. In fact, only a quarter of college graduates work in a field related to their degree. Contrary to popular belief, it is often your skills and abilities that determine whether you’re fit for the job, not necessarily your experience. Daniel Levitin details the effects of the stress hormone cortisol, and how it clouds judgment through his own experience of being locked out of his home the night before an important flight. Through a simple process called premortem hindsight, Levitin explains how designated places for important items and writing out your ideas alleviates stress and minimizes the potential for mistakes. Writing out what you would like to ask and highlight prior to your interview will help ensure no stone goes left unturned, while effectively decreasing levels of stress. Through his experience interviewing individuals while painting their portraits, Marc Pachter illustrates how to ask meaningful questions that encourage the interviewee to open up. This talk provides great insight for connecting with others. As an interviewee yourself, keeping the best and worst highlights in mind like, the worst interview you can have is with someone who is modest, should help you shape your responses and approach. While 55% of a first impression is based on physical appearance and body language, it’s also important to note 70% of how we communicate is nonverbal. 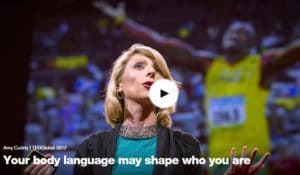 A social scientist herself, Amy Cuddy stresses the importance of these nonverbal interactions and how to raise confidence through power posing. 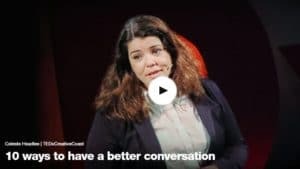 Celeste Headlee shows the audience how to rise above the polarized state of our headstrong society by properly balancing listening and speaking. 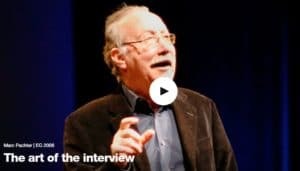 Headlee demonstrates how to practice good listening etiquette, embracing the natural flow of the conversation, and other great techniques by teaching the audience how to interview someone. A resume tells a story. Regina Hartley explains how a CV can reflect an individuals drive, passion, focus, and work ethic in very unexpected ways. Hartley shows that the candidate who may not be perfect, per se, is at the very least worth an interview. Take her points into consideration when reflecting upon your own resume – what does your application say about you? Ashwini Mrinal shares the important lessons she learned after going through the interview process a whopping 32 times. Her relatable experiences give valuable insight into the life of an aspiring business woman in India. The human voice is an instrument we all play. It’s the most powerful sound in the world. Julian Treasure goes through his own personal list of the 7 Deadly Sins of Speaking. From gossip to dogmatism, Treasure demonstrates how to combat these with the four cornerstones of speaking (HAIL), vocal warm ups, and pitch control. 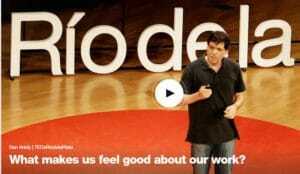 Behavioral economist Dan Ariely demonstrates what motivates us to work and what defines our efforts as meaningful. Before your interview, take a step outside yourself and assess your drive. Is this a new job a position that will leave you feeling motivated and fulfilled? 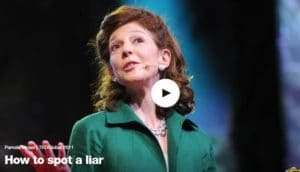 Using real scientific techniques, Pamela Meyer teaches the audience how to spot a liar. Meyer’s strategies will help you determine whether your employer is truly reputable or if the position may be all smoke and mirrors. Through vocal control and proper posture, we can take control of our nonverbal queues, which account for 70% of our communication. 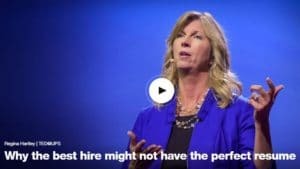 In conjunction with hindsight as well as many other valuable tools, the speakers in these videos will leave you feeling confident that you have the ability ace your next interview. 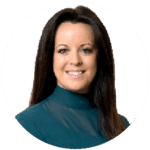 As a professional services recruitment agency Dublin Ireland, we regularly share articles about the latest tools in human resources, market insights, career advice and more, head on over to our blog or sign up for updates here. For more information about Lincoln Recruitment, please contact us.